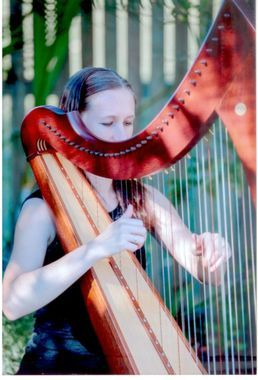 Brisbane harpist Sally Beaumont provides harp music for all occasions. Sally has performed at over 160 venues throughout South-East Queensland for wedding ceremonies and receptions, engagements and proposals as well as birthday parties, new years eve parties, high teas, corporate events, private functions for the Governor at Government House and other occasions requiring that special touch. While Sally can play traditional classical and Irish harp music, she is known for her arrangements of popular songs made famous by singers and bands such as Ed Sheeran, Ellie Goulding, Bruno Mars, Stevie Wonder, Bryan Adams, Cold Play, Cindi Lauper and even a little Metallica! With a repertoire of over four hours of music, there is sure to be something there to suit every occasion and satisfy even the most discerning guest. Sally services the greater Brisbane and Ipswich areas.